When importing data it is also possible to simultaneously import the images and have the software automatically match the images to the data. 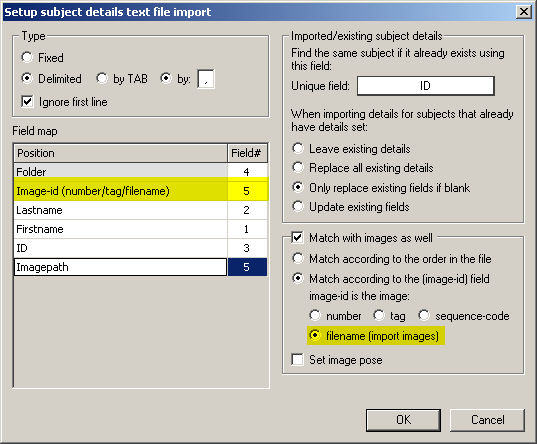 The example below assumes the text file has the full path to the images being imported (including the image filename) as a single field. The image path field in this case is in UNC format but may also be an absolute path. "Workstation" is the name of the computer from where the images are to be imported. "Images" is the share name of the folder that contains John Doe's image namely 110.jpg.